Fear the Drum Major – Page 2 – Eat. Play. March. Easter seemed to have come out if nowhere. We spent a low key holiday just the three of us and the puppies. We had a lovely brunch out then a day at home just doing things around the house. 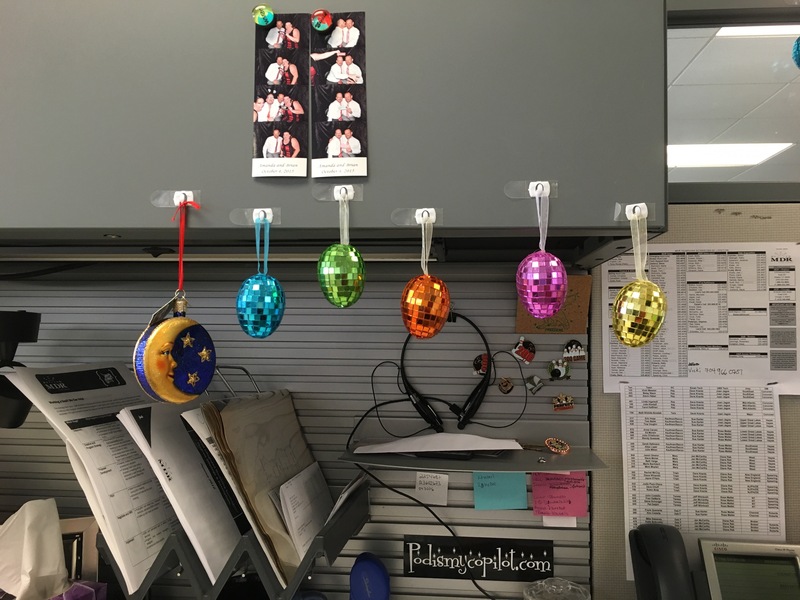 The disco eggs were only out for a week since I waited until after St Patrick’s day to decorate the cubicle. 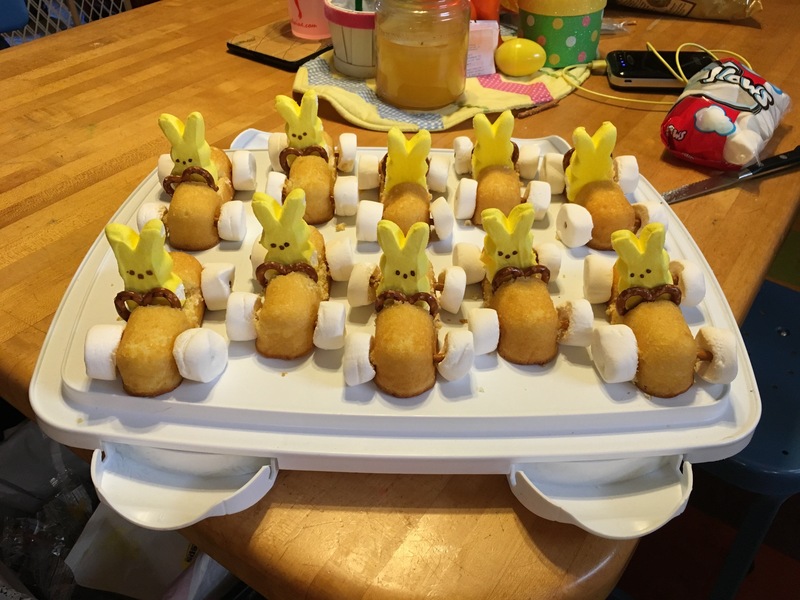 The Hubby found this on Pinterest so The Kiddo and I had some fun making them to bring to my Dads house Saturday night. 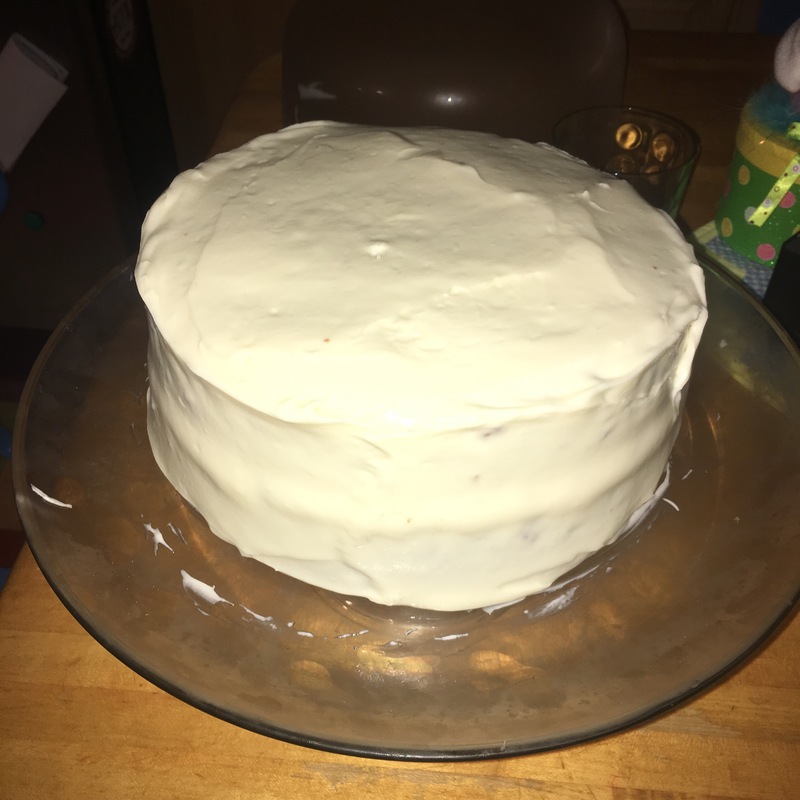 Easter isn’t Easter without a carrot cake with cream cheese frosting. All homemade of course. 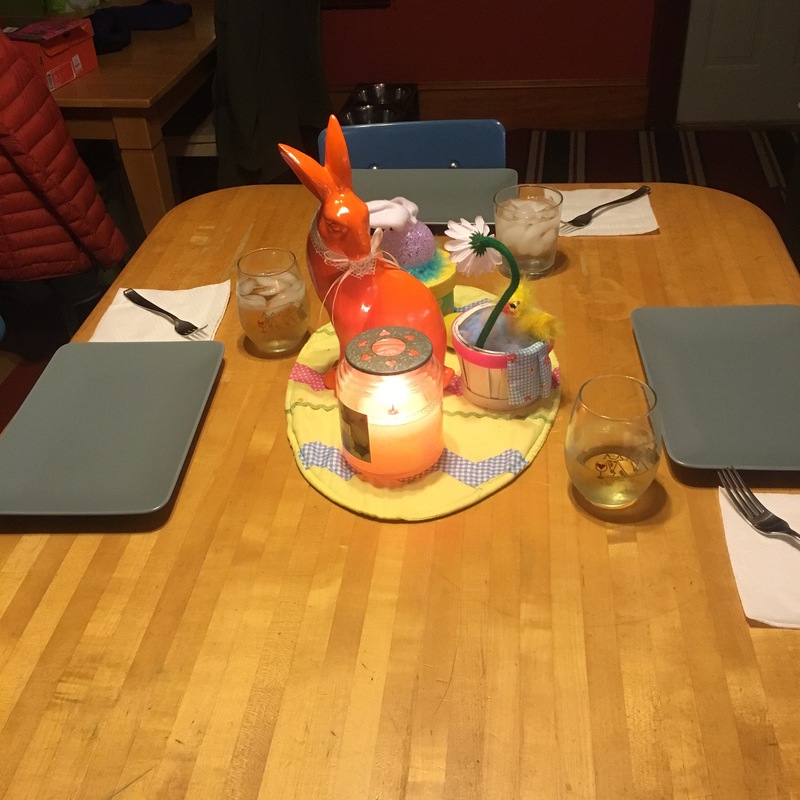 The Kiddo helped set the table and insisted we all had to use fancy glasses. I had wine he had ginger ale. 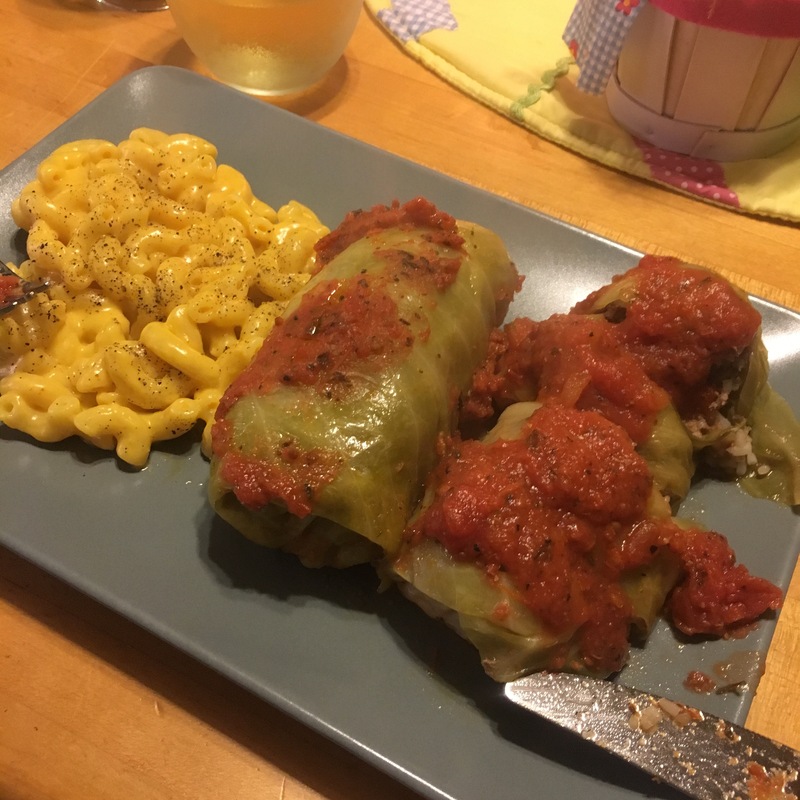 I wanted something different for dinner so I decided on Stuffed Cabbage. It was missing something flavor wise but it was still delicious. The hack I used to get the cabbage leaves to wrap easily is one you wouldn’t even think of. Core the head of the cabbage and place it in the freezer for 24-48 hours depending on the size of the head. Once fully frozen remove and put in a colander to thaw for another 12-24 hours. The leaves will peel off and be tender enough to wrap, no boiling necessary. 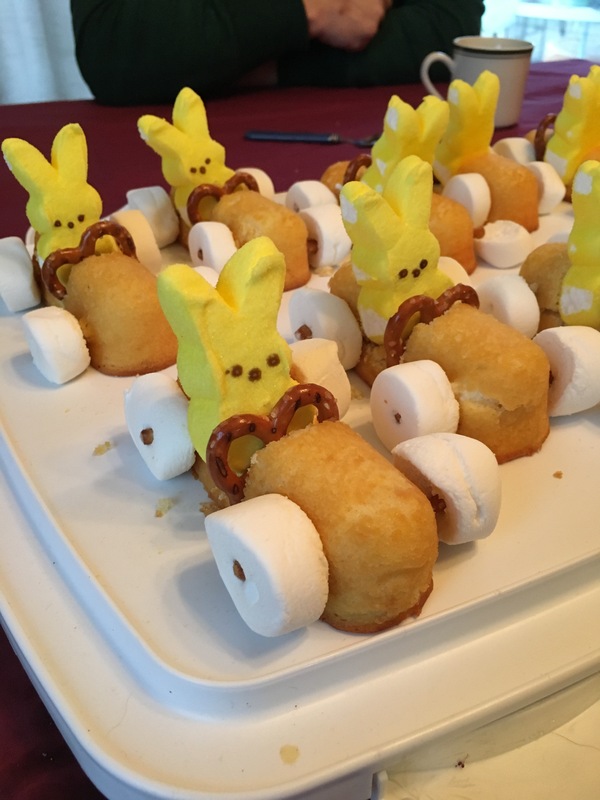 Here’s a closeup of the Peep Racecars. Aren’t they seriously cute. 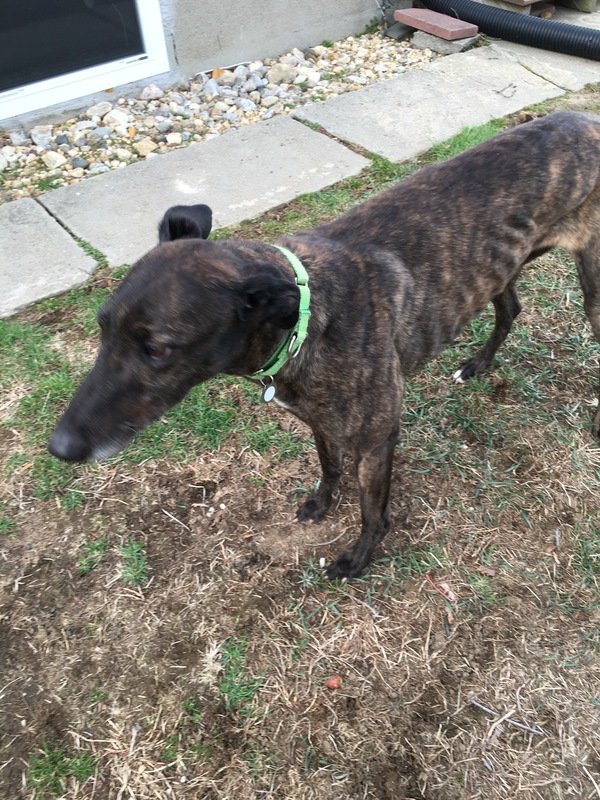 This is Mama our latest foster dog. Isn’t she pretty. She was a brood mom after her raging days ended. Now it’s time for her to become a pet. Anyone interested? No bowling this week due to the holiday so I’ll be bank next week with that update. Next up on the schedule is The Kiddos birthday then mine. My starting average going into the night was a 154 and there it stays again for another week, which really isn’t a bad thing. We took 3 1/2 points for the week, yes we got another half point this season due to a tie in the first game this week. This puts us in 1st place! Next week we play Team 69’ers. Another great week of scores for me. We took 3 points for the week keeping us in 3rd place but technically in a 3 way time for first, we all have 23 1/2 points. Next week we play Team Fruits & Nuts. Well we held steady this week…. My starting average going into the night was a 154, and that dropped slightly to 151. We took 3 points for the week keeping us in 3rd place. Next week we play Team No Pants. My starting average going into the night was a 154, and that dropped slightly to 151. This week wasn’t one of my best nights. We took 3 points for the week pushing us into 3rd place, the highest we have been so far this year. Next week we play Team Spare Me.